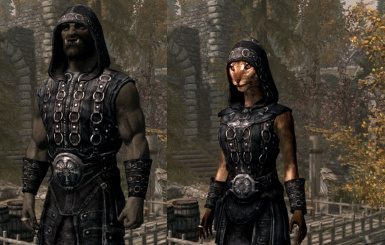 balanced, lore-friendly and fully-integrated way. 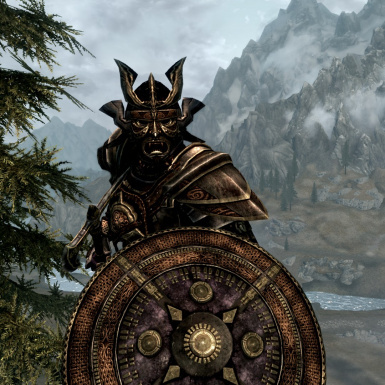 Keep an eye on this mod, because it is still a work-in-progress; there are many more updates and new features to come! * 14/02/2013 : The first variant of version 1.2 has been uploaded. updating this description with full changelog soon. 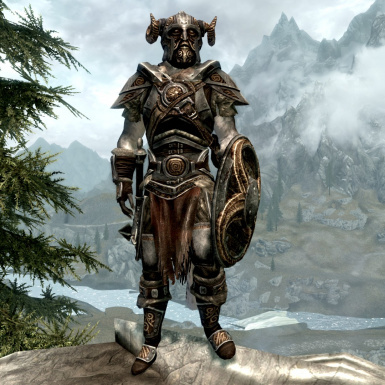 * 01/09 : David Brasher has uploaded a compatibility patch for Morrowind Armor for Skyrim and Skyrim Scaling Stopper. 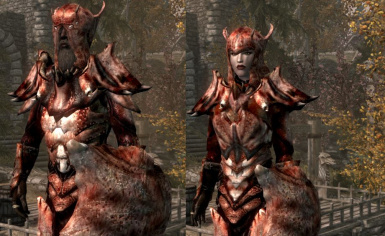 * 01/09 : Updated main mod to v1.1 : revised models for chitin armor (used falmer armor meshes from Skyrim Modesty Mod as a base), new weapon and scabbard models for stalhrim sword and greatsword. * 01/09 : Uploaded pics of weapons. 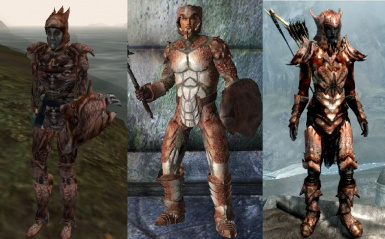 * 30/08 : IndigoNeko has uploaded a compatibility patch for Morrowind Armor for Skyrim and SkyRealism - Mass and Materials. 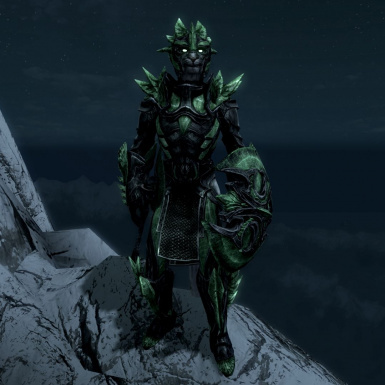 * 24/08 : Added optional compatibility mod for Maty's Mithril armor mod. 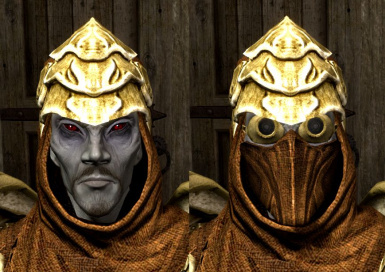 Best used in conjunction with the optional Morrowind Smithing Perks mod. 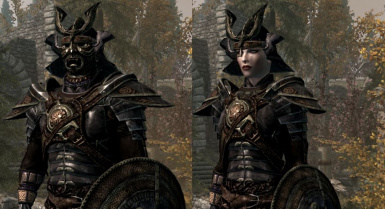 Smithing perk & the Dawnguard arrow smithing recipes. 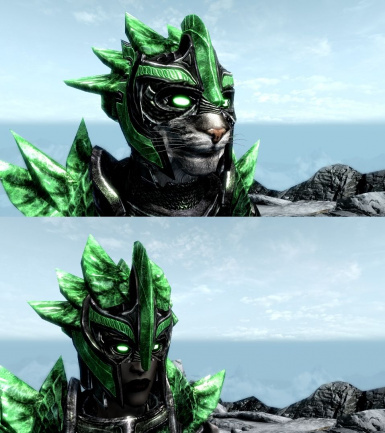 this armor grants +25 Frost Resistance. pelt & a salt pile. was killed in order for its bones to be harvestable). 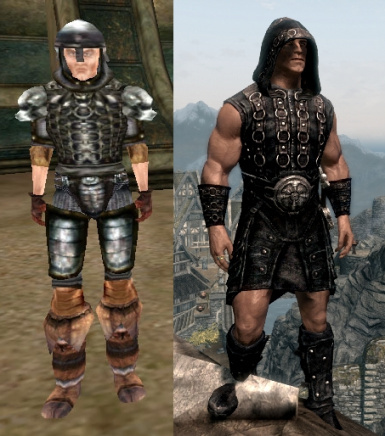 recipes use steel & leather. 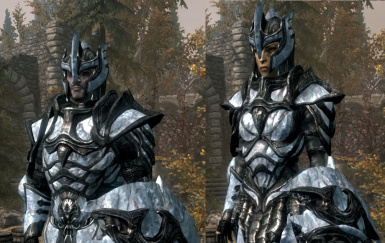 the nordic carved armor set for the purposes of the Matching Set perk. 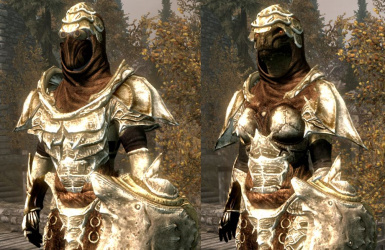 Gilded Ebony : Crafting this heavy armor requires the Ebony Smithing perk. 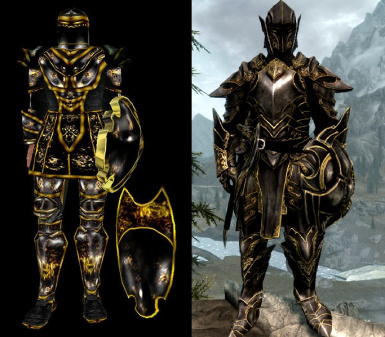 Gilded Ebony smithing recipes use ebony and gold. 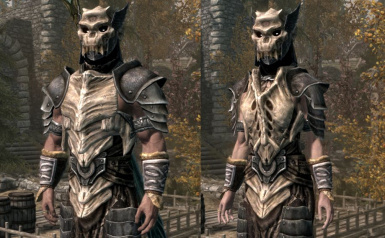 Vvardenfell Glass : Crafting this light armor requires the Glass Smithing perk. 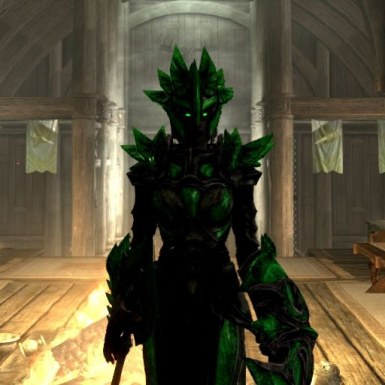 stronghold (or choosing the correct dialogue option if you are an orc). 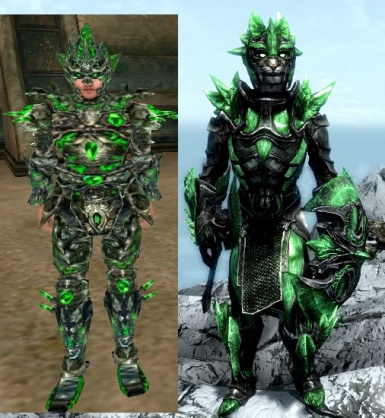 armor have been added to the Studded category. 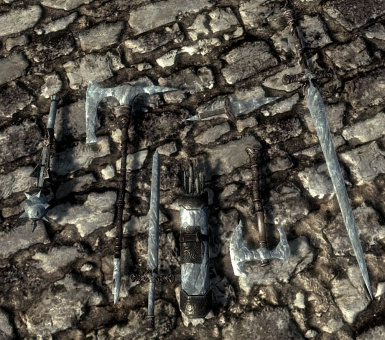 be gifted with smithing recipes for forsworn armor, arrows and weapons. 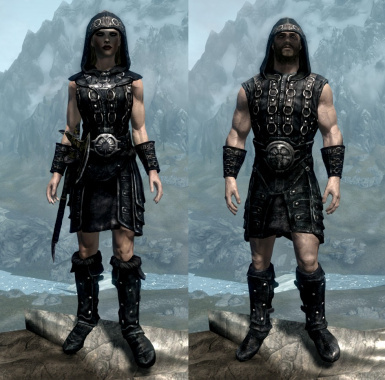 Forsworn smithing recipes can be found under the Hide category. create a better feel of balance and immersion. 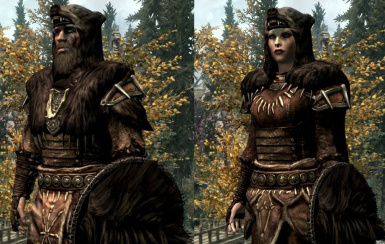 This mod requires the BSA from the Standalone version of the main file, and you should overwrite the ESP. 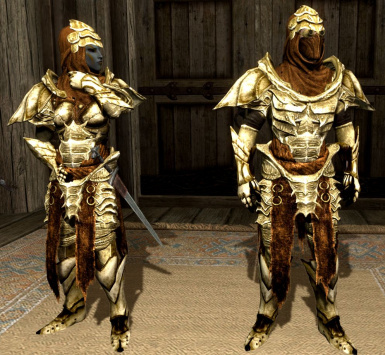 *Ebony : Retextured with gilded edging, and helmet has glowing golden eyes. 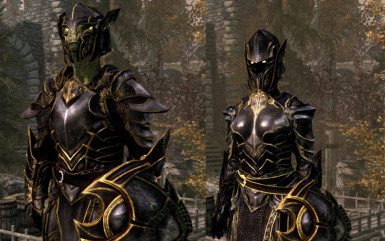 *Elven : Increased to Scaled armor protection and crafting now requires the Advanced Armors perk. 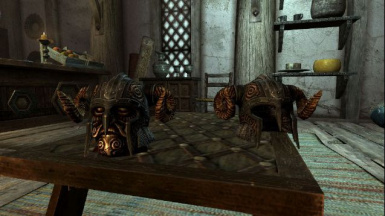 *Dwarven : All armor & weapons have been renamed 'Dwemer'. 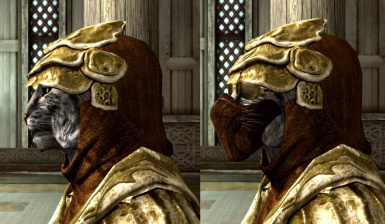 There are two versions of this optional file; one that requires Dawnguard, and one that does not. 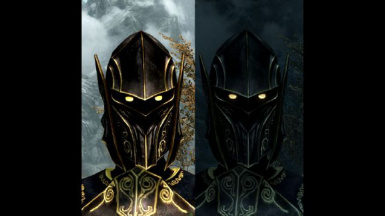 This mod should be loaded AFTER the main mod file, whichever version of that you are using. 'Elven' and 'Nordic' branches. See the screenshots above. 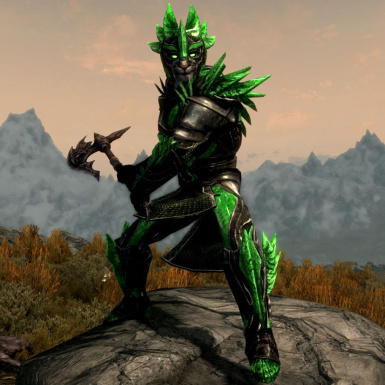 The Elven branch of the Smithing Perk tree has 3 tiers; Apprentice, Adept & Expert. 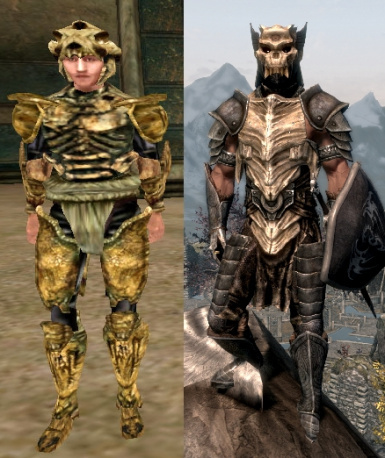 (coming soon) and Bonemold armor & weapons. 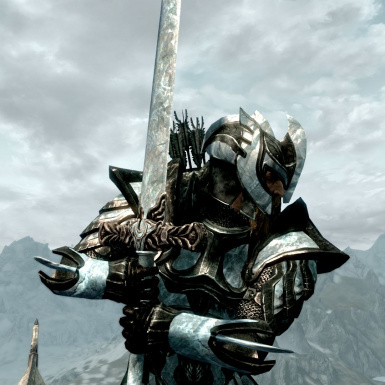 weapons, as well as Chitin armor & weapons and Dreugh armor. 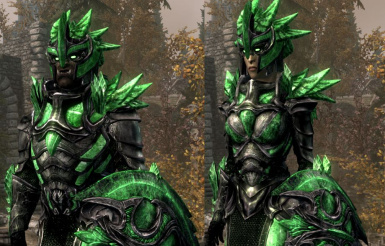 Royal armor (coming soon) and Glass armor & weapons. 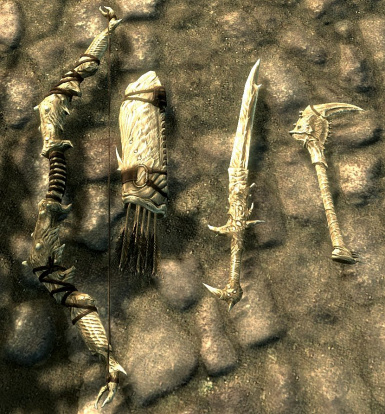 The Nordic branch of the Smithing Perk tree also has 3 tiers; Apprentice, Adept & Expert. 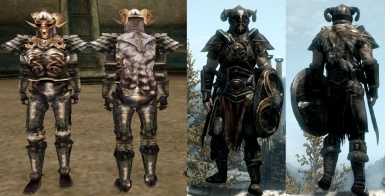 Nordic Steel armor & weapons. 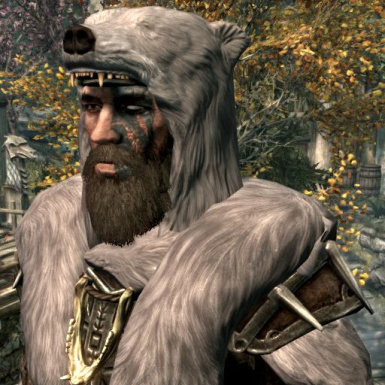 and improvement of Snow Bear armor and Stalhrim armor & weapons. 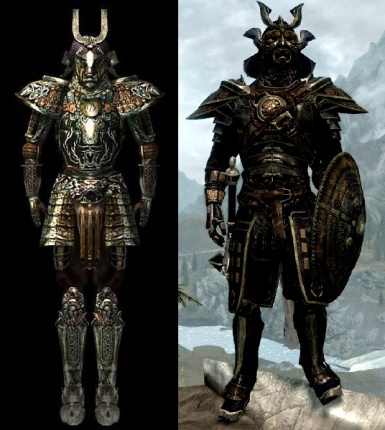 of Ebony armor & weapons. 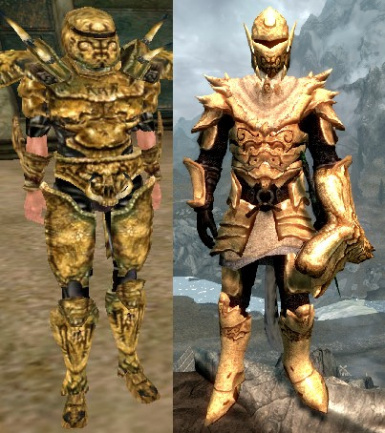 now be improved up to Legendary quality. 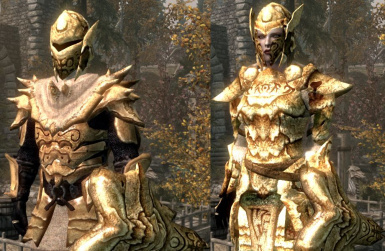 * Elven: Crafting elven armor & weapons now requires the 'Adept Elven Smithing' perk. Their stats are unchanged. or improved up to legendary quality. crafted or improved up to legendary quality. 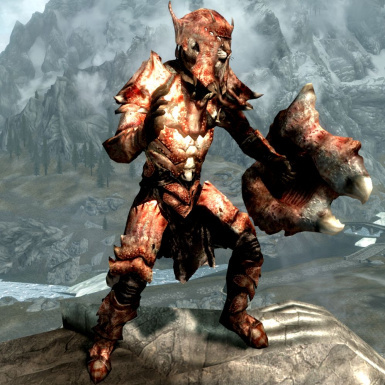 Scaled armor, with the additional requirement of a single goat-skin. 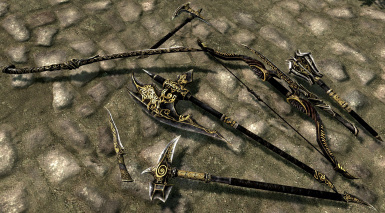 * Silver Weapons: These may be crafted and improved if you have the 'Arcane Smithing' perk. 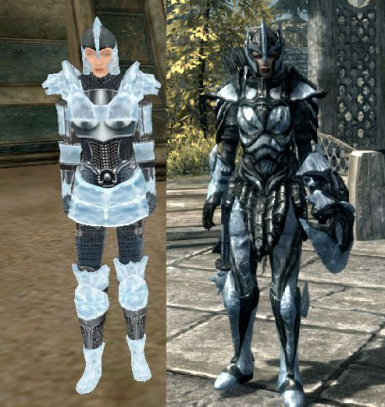 This optional file is a compatibility plugin designed for Maty's Mithril Armor. 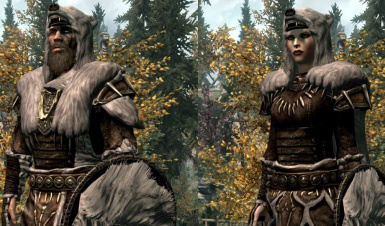 This mod requires the BSA from Maty's Mithril Armor, and you should overwrite the ESP. 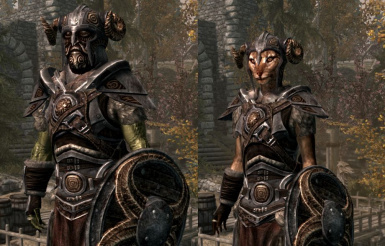 using the Smithing Perks mod together with this mod. 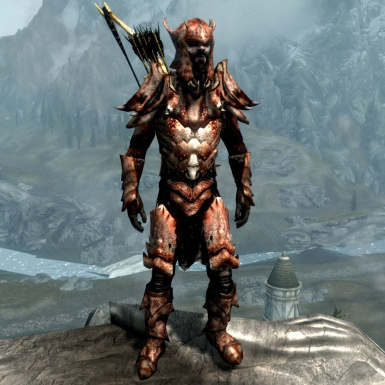 stats slightly lower than Eleven armor, not higher. 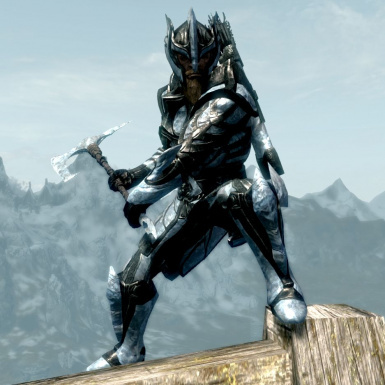 * It can be crafted by taking the Elven Smithing perk (or 'Apprentice Elven Smithing' in the MSP mod). * Quicksilver veins, ore & ingots have been renamed to 'Mithril'. 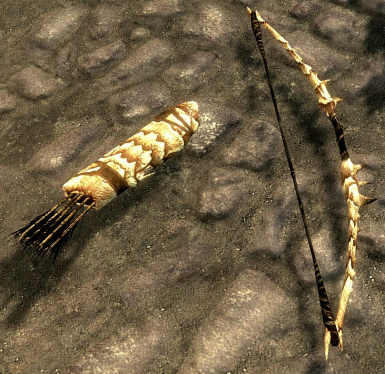 Smithing perk, and the recipes can be found under the Ebony category. 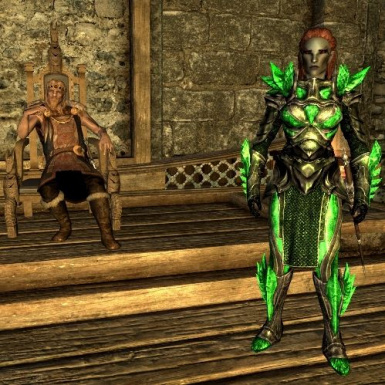 Helseth royal smithing recipes use ebony, quicksilver & fire salts. which can be created at the cooking pot from leather. are currently on this list). 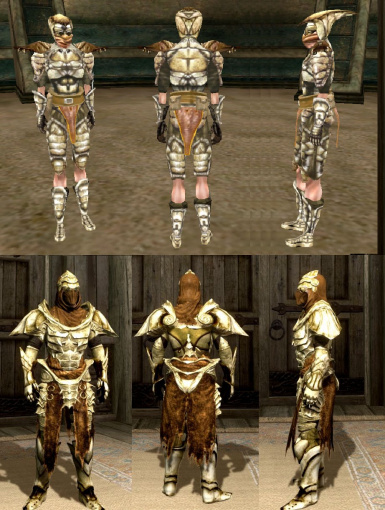 * Indoril armor set -no, because someone else has done it: LINK HERE.